Permethrin may cause certain side effects in patients, most of which are related to the skin, such as redness, burning, swelling, and stinging, because permethrin is a topical medication. Serious side effects are uncommon, but they are typically related to an allergic reaction to the contents of the medication. Information about these side effects and an explanation of what to look for and when to see a doctor is discussed below. Symptoms of scabies may become worse at bedtime despite the application of permethrin, so intense itching may also be experienced during sleep. Even if the medication kills the scabies, the dead mites could still make a patient itch for up to a month after treatment. Patients should consult with their doctor to see if any medications are available to help sooth the itching. Since permethrin is a topical medication, it is not likely that other drugs that are taken orally or those that are injected will cause any adverse permethrin side effects. However, patients should avoid taking any other medicated skin products while using this medication, as this could irritate the skin and jeopardize the effectiveness of the permethrin at killing the lice of scabies mites. Patients should tell their doctor about any other prescription, over-the counter, herbal, vitamin, or mineral products they are taking before using permethrin. Some permethrin side effects may be experienced when treating lice or scabies. Although permethrin works to kill the parasites found on the body, it will not prevent re-infection. To prevent re-infection of the parasites, it is important that a patient treats their environment, such as furniture, pillows, bedding, clothing, and hair brushes, at the same time that they use permethrin to treat their body. Patients should also be sure to avoid contact with other people and sharing products until the infection has cleared, as scabies and lice infections are highly contagious. Clinical studies have been used to study the side effects of permethrin cream on elderly patients to determine whether elderly subjects respond differently to the medication than younger test subjects. This drug is known to be excreted by the kidney substantially, which could cause adverse side effects in the elderly, especially individuals that have kidney disease. 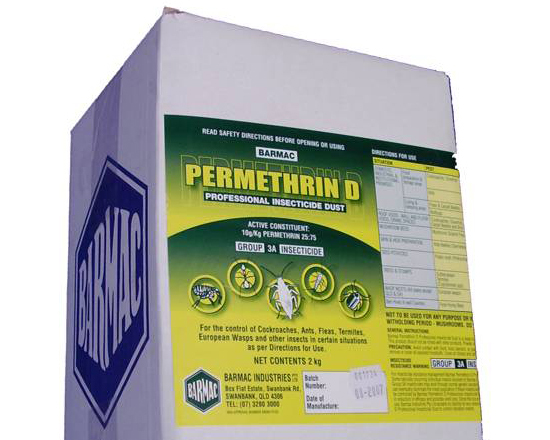 However, since permethrin is metabolized within the liver and excreted in urine, there does not appear to be an increased risk of toxic reactions. Permethrin has shown success in ridding the body of infection caused by lice and mites, and this is done by killing the parasites that are infecting the skin. Although this provides relief to patients from an embarrassing and uncomfortable situation, some permethrin side effects have also been reported. By examining these side effects, patients will be able to make an informed decision as to whether the benefits of this medication outweigh the side effects.